From the Armenta "New World" Collection. 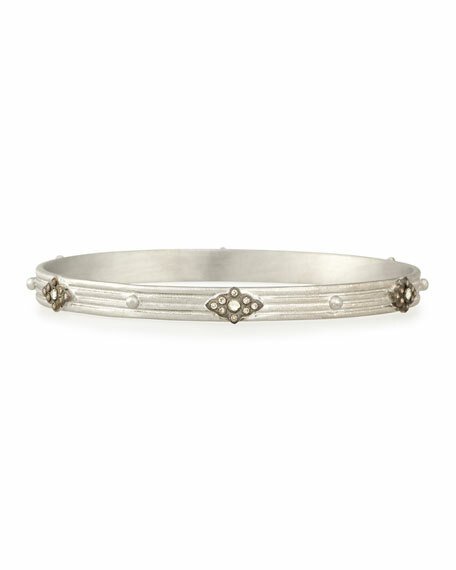 Sterling silver bangle bracelet, featuring carved, scalloped border. 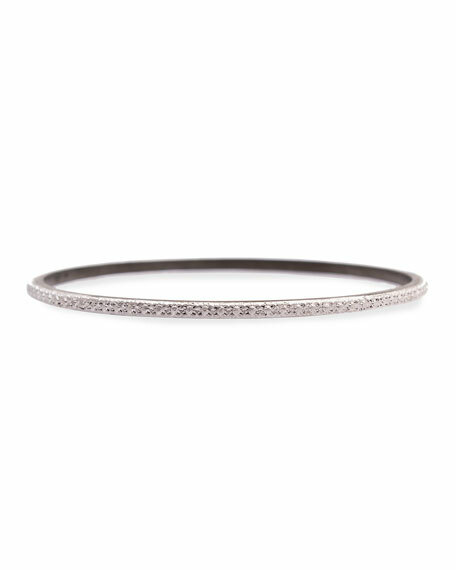 Armenta bangle bracelet from the Midnight Collection. Marquise and pear shaped white sapphires. Scroll stations with champagne diamonds and white sapphires. 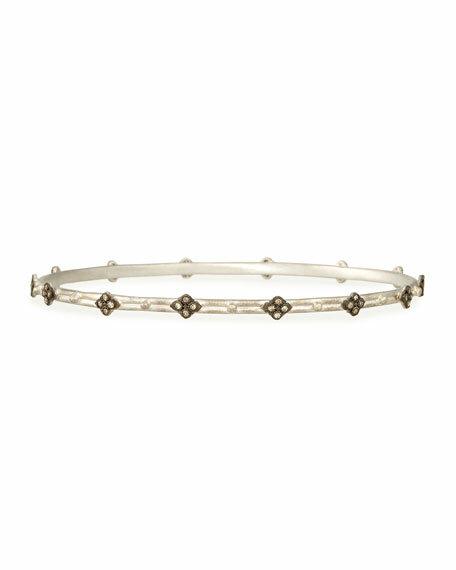 When Texan Emily Armenta first created a feminine, Spanish-inspired line of oxidized sterling silver pieces set with diamonds and gemstones, her goal was to create romantic jewelry with a rocker edge. 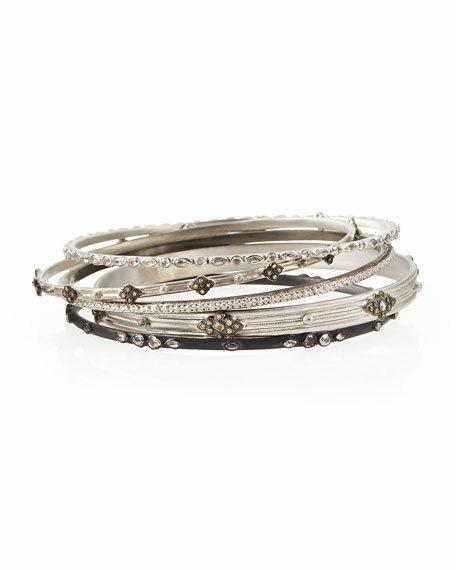 Her Armenta collection of distinctive jewelry is a favorite of Hollywood's elite.